Well done to everyone who has been working hard in the lead up to Gulgong Eisteddfod for both our soloists and troupes. It has been an epic few weeks and is only going to get BIGGER! We had a great rehearsal Monday and Miss Emma and I are so proud of the work ethic that is emerging within our students! Costume collection and additional rehearsals will be held this Sunday! A very detailed note has been given out to all students involved. Please contact us if you need any verification on anything! Otherwise, we will see you Sunday looking gorgeous and ready for hard work!! PRIVATE LESSONS will be as normal Saturday! Solos start Tuesday! I am excited and nervous and just generally really feeling it! SO MUCH TO DO!! I better get back to it! IMPORTANT MESSAGE FOR 12yrs & 14yrs MODERN TEAM!! I have text and emailed everyone ( but not all of you have replied.) REHEARSAL TOMORROW THURSDAY, 23rd April 10-30-12noon for 12yrs, 12- 1.30pm for 14 yrs. I look forward to seeing you all there. PRIVATE LESSONS ARE ALMOST BOOKED OUT FOR HOLIDAY PERIOD! If you want a private please make sure that you contact me to arrange a suitable time. We are looking at holding rehearsals Monday as well. You will be notified! Miss Emma will be back by then. KEEP VOTING FOR CHARLES!! You know what to do! Let's get him crowned this Sunday night! ( I love you too Talia! )I think Charles and Talia will be Top 2 for sure! NOW AS FOR MISS LEESA'S BABY, NO ARRIVAL AS OF 20 mins ago to report! Do you really think I would withhold this very important announcement! Trustme, when I know, you will know. Miss Leesa is well and really excited! She can't wait! Nothing like those last few weeks of anticipation is there?? HAPPY HOLIDAYS! Classes back next Monday, 27th April! I just had a most exciting phone call with Paris who had some very good news for us. Paris has qualified for the finals in the Modern Section with her new Modern routine. This is such a huge achievement and we are so proud of you! Paris is in Sydney at the International Dance Championships and as you can imagine sections are huge and competition is tough! Paris is dancing for large audiences and for the first time in her dancing for a panel of judges! Very exciting news! Paris was also very excited about the Master Class she did on Thursday for Contemporary and said it was amazing! Stay posted for more updates! I just checked out what the girls have been up to in Orange & Forbes and WHOAH!! Amazing!! Check it out now! Go to our News section and see what they are up to! Very cool to see E Man & Pania on our pages!! Happy Holidays Everyone! Here I am posting to you all on Good Friday! I have had a great day- massive clean up (found my camera and a heap of pics on it from studio!) and our beloved Uncle Johnno has just arrived! Huge excitement in our house and tomorrow we have Godmummy Gaylah ( Archer's ) and her little grand daughter Indyanna arriving. Easter is undoubtedly a very special time for us! Whether you are religious or not, we have a lot to be thankful for and Easter is undoubtedly a time to celebrate with Family. I do love the Easter Story! Ultimately because it represents the opportunity for renewal and rebirth!Here are some of the pics I found on my camera- look at some of our little chickens! I look forward to sharing in their journey! I can't believe I am writing on the eve of our last week of term! It's nearly Week 11 so that means we have had ten big, fantastic weeks of dancing! Classes will finish on Saturday, 11th April for a 2 week break! 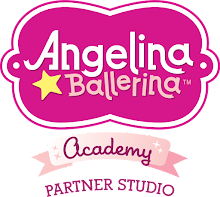 We will be having private tuition and possibly some Performance rehearsals in holidays! You will be notified. Eisteddfod season is just around the bend. All classes for Term 1 will conclude on Wednesday, 8th April at our Dubbo studio. Thankyou to everyone for a fantastic term of dancing! It has flown by in a rush of good times and heaps of new friendly faces! Dubbo studio is enjoying record enrolments and we are just loving the energy and spirit that is thriving at the studio! Its been a wonderful term but we are all looking forward to the break! Miss Emma is spending a week in Sydney at the ADAP worskhop( so she will come back even more innovative and sensational!) Miss Leesa is launching her Dance Fitness DVDS and very possibly her first born....mmmm yes, I know, how many of us can say that within a two week period we launch our assault on the home fitness market whilst also giving birth!! ( I had thought I was so good because my waters broke at the studio during an Intermediate Ballet Class but I think Leesa has pipped me at the post!Let's see if she can also squeeze in a night at RPA too!! )STAY TUNED PEOPLE! The blog will be hot on the announcement! Its literally weeks away and we can't wait!!! Keep checking back in on us- lots is happening and I will actually have time, I hope, to update more regularly in the hols! HAPPY HOLIDAYS! 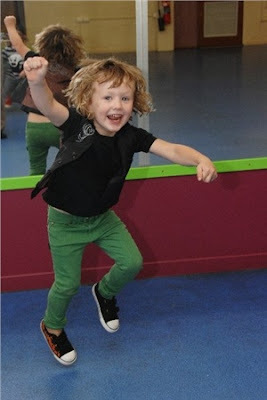 Here is my Cale, dancing up a storm for the Liberal photographer! You may be interested to know that during his photo shoot he had Beyonce's "Single Ladies" blaring through the ipod speakers and pulled out some new and unique moves!! WHAT IS MISS EMMA TEACHING HIM?? Hahahahahahah I must say, I felt a certain stage mother type surge of adrenalin when I read Headline, "Dubbo's Next Dancing Star in the Making" and have had to calm myself done. Still, isn't it fantastic to see such joy come out of a local boy's outstanding success? Here is my little Cale, "shaking his booty" proudly in the newspaper and it's celebrated? Thankyou to shows like SO YOU THINK YOU CAN DANCE and talented, inspiring individuals like Charles who make dance accessible to mainstream audiences. Hopefully, my little boy will be able to continue being proud and uninhibited in who he is and foster his love for dance or for sport or for wherever his passion will lie. 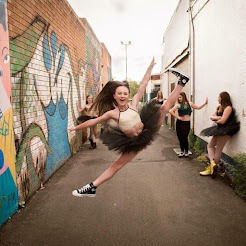 It is just wonderful to see Charle's passion and the athleticism and art of dance in loungerooms all across Australia. There are many more little boys out there like Cale dancing up a storm and as I've always said what better way to move through this life. GO CHARLES! It is so close! ( still when asked who he thought might win SYTYCD Cale did say "ummmm (long pause, then big grin) ME CALE!!") We are hedging our bets and hopes on Charles. Cale, your turn will come. DON"T FORGET TO VOTE! !